Looking back to March 2013…. 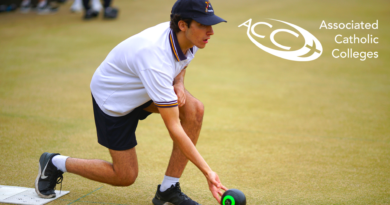 An incredible milestone rolls around next week, when the ACC athletics carnival takes place at Lakeside Stadium in Albert Park. This year is the 50th anniversary of the longest lasting ACC record in any sport – an incredible achievement by any means. Way back in 1963, a talented young athlete named Paul Cheel was representing St. Joseph’s North Melbourne in the Under 16’s at the ACC athletics. In a scintilating performance, he set new records in the 100 and 200 sprints – records that still stand to this date. It was a fantastic era for ACC athletics, with close competition between the schools and plenty of great talent on the track. Paul dominated in his chosen sport over many years, and was a celebrated athlete for St. Joseph’s. 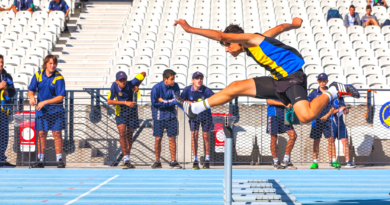 He consistently won the sprints at the ACC carnival setting several records in the younger age groups along the way. It is a fantasic milestone for us to celebrate as an Association, and one that we are very proud to recognise at this time. 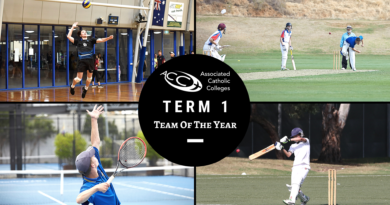 Paul still maintains a connection to the ACC, through his teaching role at Parade College in Bundoora. He is proud that his achievements have stood the test of time and is looking forward to helping celebrate the occasion. There is some wonderful reading in the articles below (click on the various links), so please take some time to look over the details. Newspaper article celebrating Paul’s record run. Our thanks go to Simon Cheel, Paul’s son, who collated this fabulous archive material. He is also justifiably proud of his father’s achievements.